Effects of ALCOHOL on your health..? Today, most of are used to late night parties- be it an office party, a birthday party, a marriage anniversary or the likes. Partying has been taken as a way to relieve our stress and thereby let your hair down and enjoy. One of the most common beverage in parties is ALCOHOL…Any celebration and there is alcohol to celebrate it with or in other words there is beer, vodka, champagne, tequila, rum, whisky, etc…..flowing like water does. Some people enjoy drinking alcohol be it hard liquor or beer, while some are social drinkers who drink to enjoy and celebrate. Many drink under the garb of being stressed or over worked. The stress drinking invariably ends one to become an alcoholic. The harmful effect of alcohol is known to all what it can cause to our body and immune system but, yet there is this constant feeling of wanting to drink at the drop of a hat. 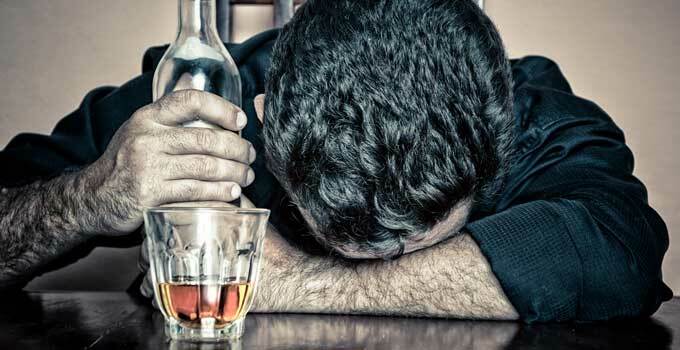 The real fact is that one is not completely aware of the dangerous side-effects of alcohol and that it can get one addicted to it which is harmful for one’s immune system and the liver. A good immune system helps our body to fight diseases and virus that enter our body. But, too much of alcohol deprives the body of valuable immune-boosting nutrients such as Vitamin A, and can make white cells, which is our body’s defense against illness and disease – less able to kill germs. By the way alcohol is not just harmful to your body and its system; it can also lead to weight gain. As per research, Calories from alcohol are ’empty calories’, they have no nutritional value. Most alcoholic drinks contain traces of vitamins and minerals, but not usually in amounts that make any significant contribution to our diet. Drinking alcohol also reduces the amount of fat your body burns for energy. While we can store nutrients, protein, carbohydrates, and fat in our bodies, we can’t store alcohol. So our systems want to get rid of it, and doing so takes priority. All of the other processes that should be taking place (including absorbing nutrients and burning fat) are thus interrupted due to alcohol. Having said all this would you still want to consume alcohol? Think twice. But they say red wine is good for heart in limited quantities?